1 owner, 2003 Lincoln Town Car Cartier with only 37,000 miles!!!! You will not find a nicer one! I purchased this car from the American Red Cross at auction as it was a donation from an estate. We have installed brand new tires, brand new track and power seat motorfor the drivers seat, new amplifier for the stereo, new battery and had the oil changed. You can view the Carfax vehicle history report on our website. 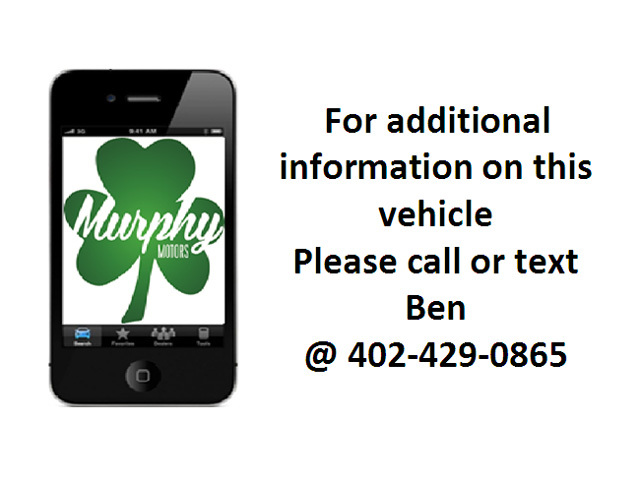 Contact Ben Murphy at 402-742-0230 with any other questions. Visit us at 616 West Cornhusker Hwy in Lincoln.